I’ve got a major thing for lip balms. In my bag, there’s always at least two sticks. In my cosmetics case lies two more. At my desk at work, I hoard five or six. But on my nightstand, there’s just one. 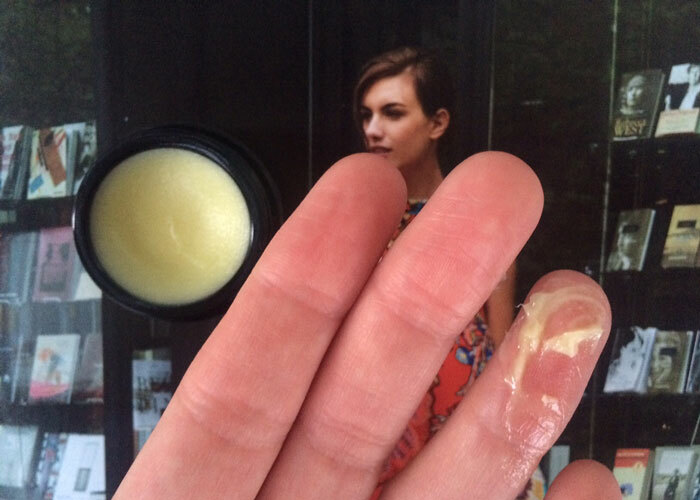 And it’s Henne Organics’ new Luxury Organic Lip Balm. A creamy balm packaged in chic Miron glass, Henne Organics’ Luxury Organic Lip Balm is my go-to choice for my bedtime self-care routine. I love the way the violet glass jar looks on my nightstand, but it’s also quite functional: Anya (my cat, for those of you who are new) isn’t tempted to bat at it in the middle of the night because of the heavy weight and inability for this jar to roll when set upright. People, this is huge for my sleep. The cat is always messing with something at night. Beyond the packaging and its function, the actual formula of Henne Organics’ Luxury Organic Lip Balm is perfect for bedtime. The creamy consistency is just what I want on my lips at night, coating them in hydrating oils and butters that promise soft, smooth lips in the morning. Alluring cocoa butter soothes my senses upon first contact with my lips. The thick texture is easy to scoop your finger into and melt into your skin thanks to its base of avocado oil, coconut oil, beeswax and shea butter. It’s not a slippery balm, but a luscious coating of moisture that blankets your lips in softness. With that said, I prefer to use this lip balm as an overnight treatment or on days when I’m just doing the balm (and no color) thing. Perhaps with a very light layer, it would be fine to apply lip color on top, but Henne Organics Luxury Organic Lip Balm really shines as a solo lip moisturizer. As you see in the short ingredients list, Henne Organics Luxury Organic Lip Balm focuses on the simple, luxurious plant-based ingredients known for their ultra-hydrating capabilities. Remember, personal care products that are allowed to bear the USDA organic seal must be at least 95 percent organic. UPDATED: Clearly, I can’t read and totally glossed over the fact that the ingredients list says “organic” in front of each organic ingredient. 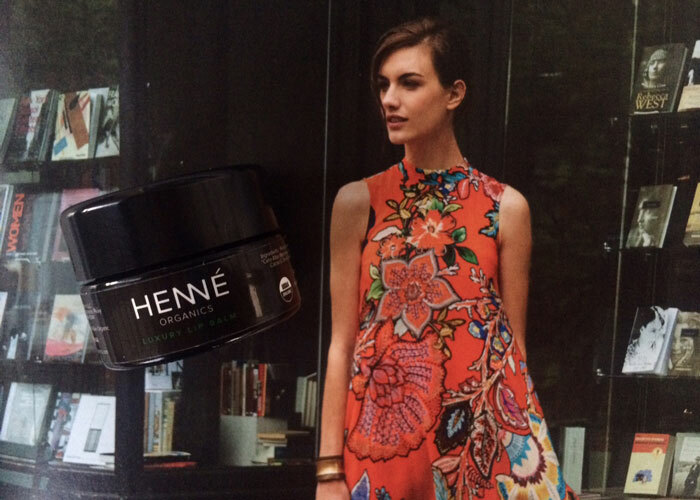 I’m impressed with what Henne Organics has brought to the luxury green beauty market. While it’s a simple lip balm with familiar ingredients, the packaging alone has reinforced this idea of slowing down, enjoying the bedtime routine and allowing yourself that final kiss of luxury before you drift away into dreamland. Is $22 a pot worth that reinforcement? Maybe. This is one lip balm that I don’t knock around and aimlessly throw into any one of my stash sites. The top shelf is a coveted position, but the nightstand — now that’s just intimate. Henne Organics has that place carved out for itself. Do you use separate lip balms and treatments for day and night? What are your thoughts on luxury lip balms? Are you over Miron packaging, or does it still delight you? Tell me in the comments section!